My theme for the design challenge was personal space. Throughout my time in China town, I was constantly aware of the lack of space we had on the narrow, packed sidewalks. The lacking personal space in China town presents a set of problems from confrontation to congestion. With my garment, I set out to allow the user to decide when, where, and how they would define their personal space as that decision is a luxury in a bustling place like China Town. 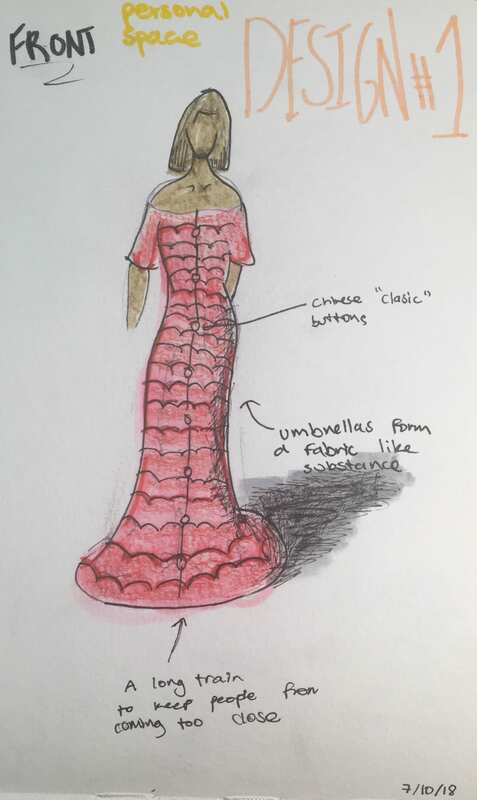 The dress uses umbrella-like pieces that expand outwards as the user pulls the hood over their head which tightens strings attached to each layer of expanding fabric. 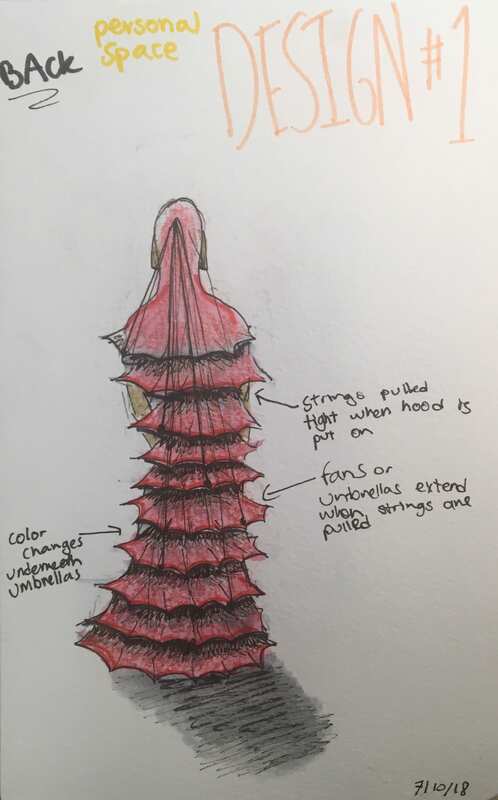 When the wearer isn’t in a crowded area or around friends and family, simply removing the hood creates slack on the strings and the pufferfish design becomes a wearable fabric addressing the need for an adaptable enforcement of personal space in China town. 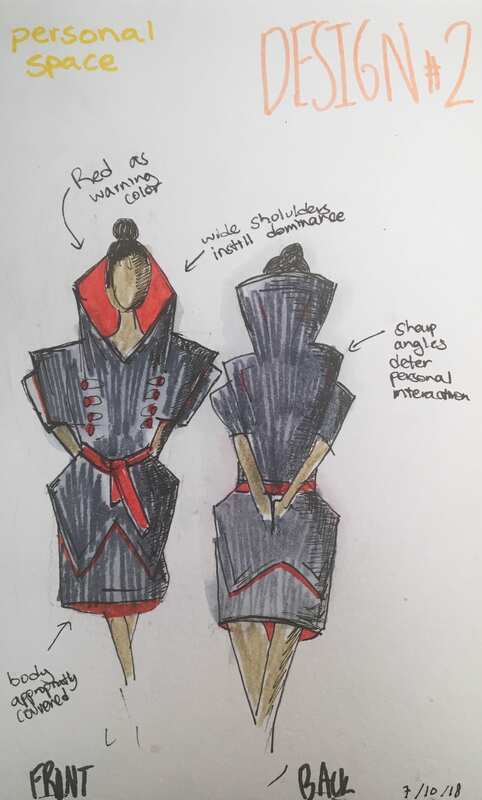 With my second design, I wanted to take a more direct approach using sharp angles, menacing forms, and armor-like pieces to enforce personal space for the wearer. With exaggerated shoulders and a tall posture, the garment is meant to intimidate and redirect the traffic to avoid the person. The design is meant to use existing associations with power and uniform to minimize possible confrontation and maximize personal space. While this approach is much more direct than the first method the goal is still to provide a sanctuary of space even in an environment as hectic as china town.